During their stay at Interfaith Community Services’ residential addiction recovery program in 2006, successful business owners Robert Constantino and Judy Balsavich never thought they would be where they are today. 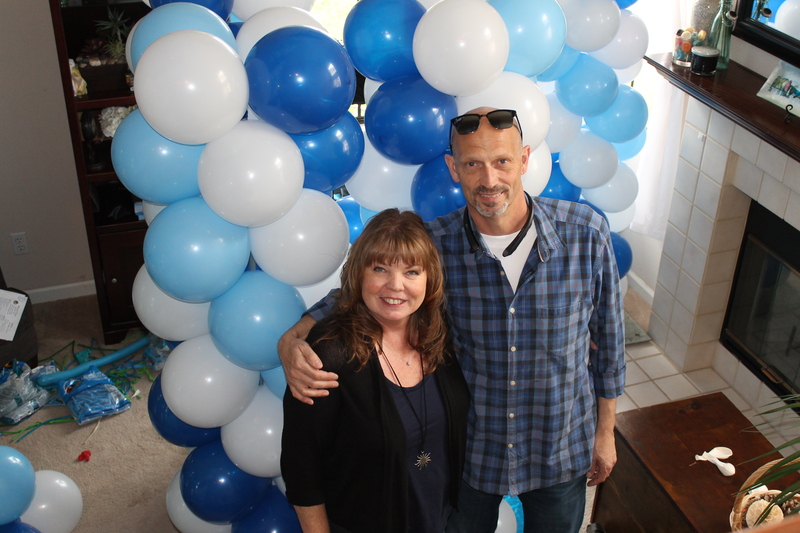 Robert has since founded Balloon Guru and grew it into what is now San Diego’s largest balloon event decorating company. Judy founded SunGold Soaps in San Diego, an all-natural, hand-crafted bath products company that features products at art shows across the county and online. As fate would have it, Robert did get help. A friend picked him up at a bus stop in Escondido, took one look at him, and drove him straight to Interfaith Community Services’ Escondido Community Sobering and Stabilization (ECSS) program. At the time, ECSS was a sobering program that also functioned as a 34-bed residential addiction recovery program. Robert was immediately taken in and provided with a sober mat, food and clothing. Judy hit rock bottom when she ended up in a coma as a result of hitting several parked cars while driving drunk; she ended up in the Vista jail. Following her release, her brother-in-law brought her to Palomar Hospital, where she was connected with Interfaith’s ECSS program. Meeting in a meal line, Robert and Judy became inseparable. Today, both Robert and Judy are still a couple with over ten years of sobriety. They have a beautiful home, rekindled relationships with their family, and their businesses are booming. Balloon Guru continues to grow and regularly does business for the San Diego Padres, USS Midway Museum and LEGOLAND, just to name a few. SunGold Soaps are featured at craft fairs across San Diego county and online orders are picking up. Interfaith continues to make helping those struggling with addiction a priority. In December 2017, we launched the first phase of our Joan and Lee James Recovery & Wellness Center. Located at our Betty and Melvin Cohn Center Escondido headquarters, the 44-bed residential program addresses addiction along with the underlying struggle and challenges our North County low-income and homeless neighbors face.